In 1990 MBG started several development projects in Gunjur and the surrounding area based around health education, literacy, water, business education, micro-finance and a pre-school programme. Since 1998 the development programme has been managed by TARUD and receives ongoing support from MBG. MBG and its partner NGO in Gunjur have always adopted an integrated programmatic approach to development, recognising that above all else, education is a precursor to development. Early childhood education from age 3-7 gives children a "kick start". 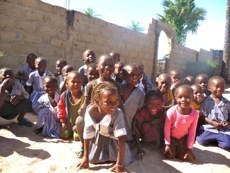 MBG and TARUD have for many years been involved in a pre-school education programme which has seen over 3000 children put through early years education and has seen the development of a pre-school curriculum which has been accepted by the Gambian Government. Health education on its own will be ineffective, for example, without access to clean water (preventing gastroenteritis), impregnated bednets (preventing malaria) or wealth creation. That wealth creation is largely dependent on literacy, numeracy and business education and can be reinforced by micro-credit. All these elements of the development programme have therefore been included. TARUD's health education programme has been based on the use of puppet shows to put over simple messages about the importance of using a bednet, of washing hands before eating, of preventing HIV infection through the use of a condom etc. The wealth creation programme has largely focused on women's vegetable gardening and in training in skills such as tie dyeing, soap making and hairdressing. MBG sixth form volunteers from St John's Academy and Marlborough College have supported many of these programmes alongside young people in the Gunjur community through the construction of e.g. 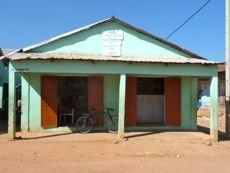 a five classroom block for the primary school, the TARUD pre-school, a fence around a 12 acre vegetable garden, a skills training centre, the renovation of a classroom block in the Islamic School and most recently the construction of a central market place to enable women to sell their vegetables, fish and meat sheltered from the sun and rain. A recent departure from this programme which has focused particularly on womens' development has been the recognition that men are getting left behind. It is estimated that only 10-15% of men are in employment five years after leaving school and that the ambition of most young Gambian men is to leave The Gambia and get to Europe. In response to this, and to growing concerns in the village, MBG and its partners in Gunjur TARUD developed a business entrepreneur loan scheme. Launched in 2015, local entrepreneurs can now apply for loans to develop/expand their current business, apply for grants to gain qualifications at the local GTTI college and for further grant/loan support for start-up enterprises. Read more in small business development.